A unique and incomparable restaurant because of its location and as valuable and special as our guests. For years we have offered genuine hospitality, we want to be reliable and authentic and have a dedicated staff who are always there for you. Our cuisine is down to earth as well as creative, authentically Mediterranean, and also international in every facet. The PORT VERD DEL MAR Mediterranean cuisine is a varied world for the discerning palate. Our efforts have only one goal: to make your meal with us at the PORT VERD DEL MAR restaurant memorable. Being a particular type of Mediterranean restaurant means for us to make the tried-and-tested even more valuable and to produce modern food in an enjoyable way. Enjoy local quality at a high level. Our wedding pavilion oceanfront is a fabulous setting for your wedding ceremony. 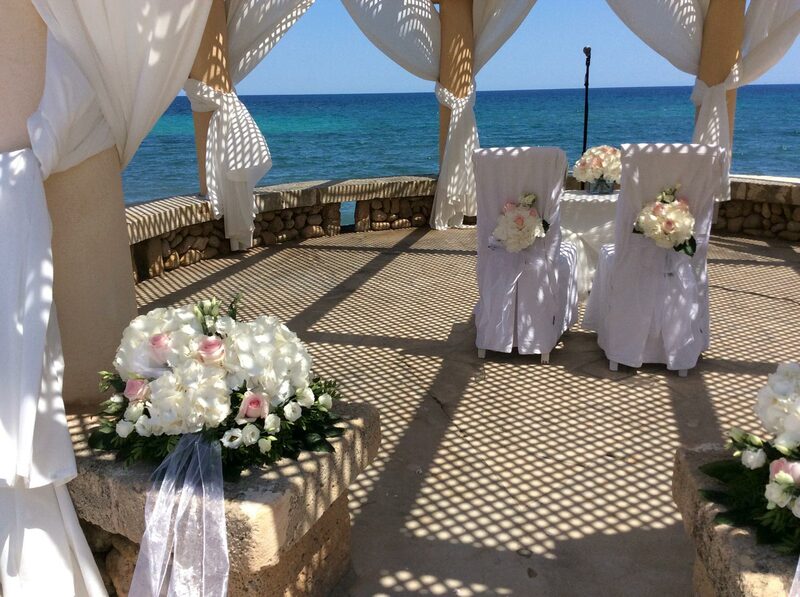 You and your guests can enjoy this special day with brilliant highlights at PORT VERD DEL MAR. Be inspired by our pictures! A unique panoramic view of the “Costa des Pins” will make your stay memorable. Our location has a wonderful ambiance for all sorts of celebrations or simply to relax and enjoy. 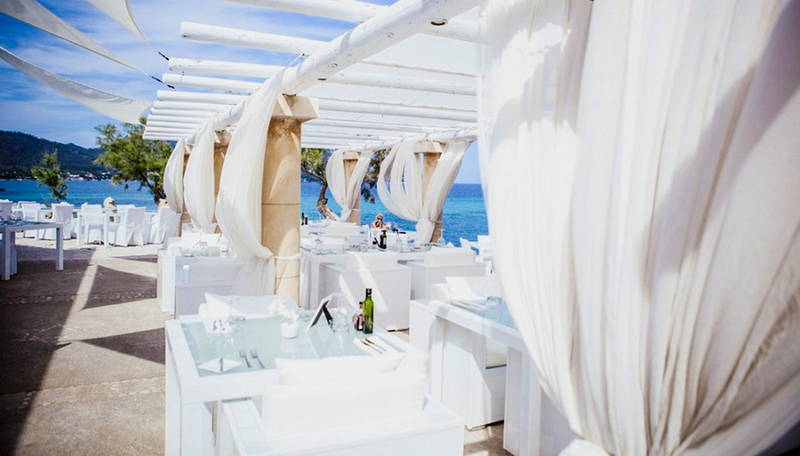 Enjoy the atmosphere in the restaurant, in the lounge or in the beach bar at PORT VERD DEL MAR. A highly professional and friendly team! 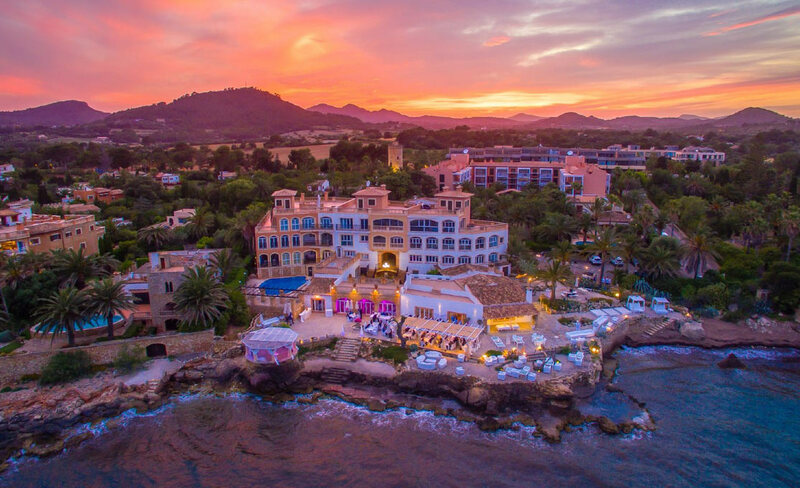 Wedding in Port Verd del Mar - simply unforgettable!